For a black 5th gen lude. what color should i powdercoat my rims, bronze or gold. My clearcoat is coming off so i'm just going to have them coated. I cant decide, so i just need a little push. gold with a black lip? Never seen it before. i forgot to mention. the rims are 5zigen fn01rc's. i wouldnt mind the polish look... but with my rims, it might not look right... unless otherwise..
but i think polished would look pretty sick on a black 5th gen. The color is titanium right now but 5zigen did a poor job with the clearcoat flaking. Picture below. 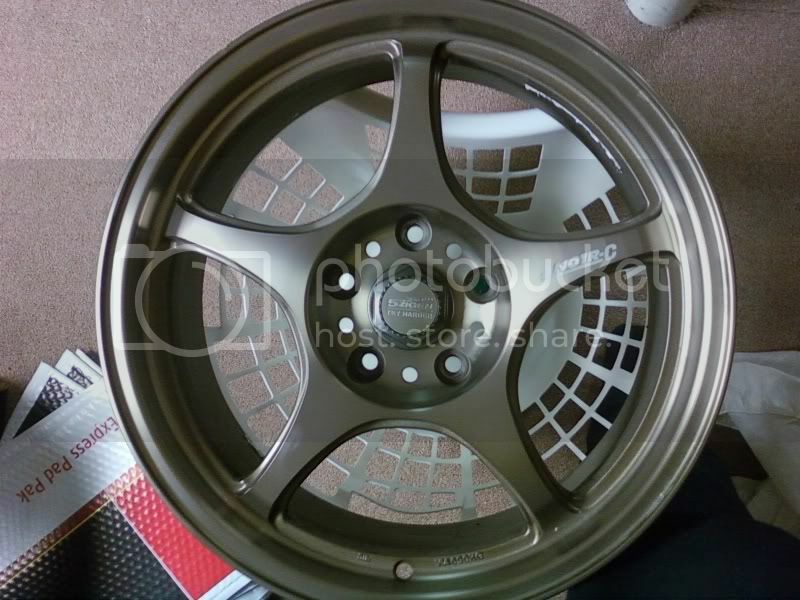 (this is one of the better rims, but on the other 3, it has really bad flaking around the lip). It's also going to be slammed on some Koni/GC, so I'm starting to move towards Bronze. Polish zigens, i just can't see. Purple with a black lip is too much for me. I want a more sophisticated ride. lol. Thanks for all the input though. Any other thoughts? Last edited by gqprelude; 11-23-2010 at 10:54 PM. Any color you want. personally I'd powdercoat them white. Bronze or white would honestly look the sickest...Bronze would require the least "maintenance". But a glossy, clear-coated white wouldn't need much work either...What requires maintenance is matte black with a red lip...Lol holy ****, my buddy is ALWAYS re-spraying his EVO rims that have this set-up. well if your car color is black then better paint them in white,one of my friend s have black civic with white rims and it realli rocks..
the rest is up to you bro! i still say polished, its classy and timeless. If your getting polished, make sure you get those BLOX Chromoly Lug Nuts...Expensive as **** (for lug nuts) but they really look nice with chrome. Those are actually a good price for good lugnuts, you should check out Project Kics lugnuts then try to tell me Blox are expensive. Project's are like $200...And honestly, I don't know what justifies a company to mark them up so high, lol. I usually just get Muteki's or BLOX's...Project's have always caught my eye; but not for $200. those chromoly's would look much better against a polished wheel then red. if you end up going bronze then red would look good.